Los Angeles, CA — YouTube star, Elton Castee is living in a dog kennel to raise money for Society for the Prevention of Cruelty to Animals Los Angeles (spcaLA). Castee entered the kennel at 12noon on Sunday, August 27th and vows to remain there until he raises $100,000 for the organization. The live stream can be viewed 24/7 on his YouTube channel (YouTube.com/ecastee) and viewers can donate at spcaLA.com. In less than 24 hours, Castee has raised more than $60,000 for spcaLA. spcaLA is not affiliated with any other SPCA; all SPCAs are independent organizations who fundraise separately. All the money raised by Castee will stay in the Southern California community and assist spcaLA’s shelter services in Long Beach; animal cruelty investigations across Los Angeles County; and violence intervention and education programs for Los Angeles’ middle and high school students in cities including Compton, Hawthorne, Long Beach, and Hollywood. Castee approached spcaLA about the fundraiser in May 2017, almost a year after his dog Sparta, whom he adopted from spcaLA, passed away. 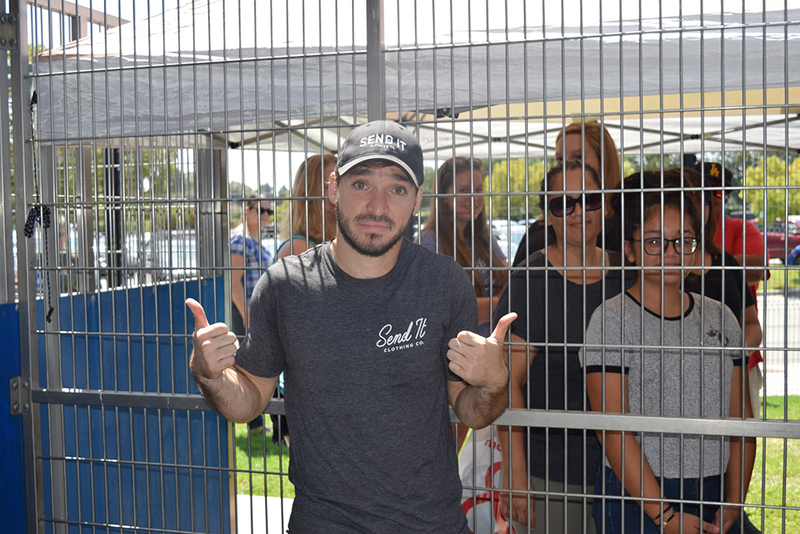 spcaLA planned the event to ensure the safety of the animals and the responsibilities of the facility would not be disrupted. Castee’s YouTube videos have been viewed over 100 million times with a total of 1.3 million subscribers over two channels. His videos have been featured on MTV’s Ridiculousness, TruTV’s Top 20 Funniest, iFunny, Break, The Chive and more.